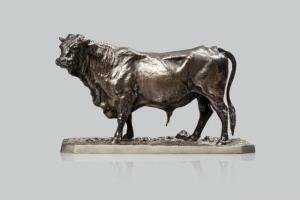 Find artworks, auction results, sale prices and pictures of Pierre-Jules Mêne at auctions worldwide. 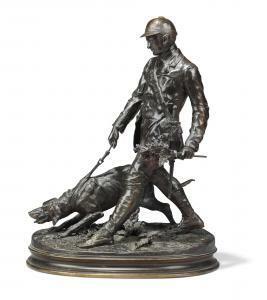 PIERRE JULES MÊNE (FRENCH, 1810-1871) Le Valet de Limier (The bloodhound handler) signed 'P.J. 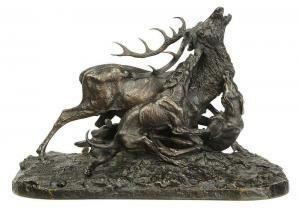 MÊNE 1879', the proper right side of the dog cast with an 'S' bronze, dark brown patina 18 ½ in. (47 cm.) high; 15 in. (38 cm.) wide; 8 ½ in. (21.5 cm.) deep Conceived circa 1879. 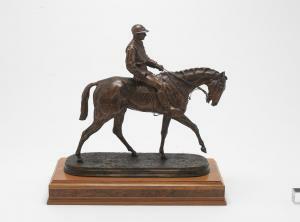 This bronze circa 1880-1910.